Another Port of Oakland marine terminal operator said today that it’s opening night gates to accelerate containerized cargo flow. TraPac, Oakland’s second-largest terminal, plans to add a second shift for harbor truckers beginning Oct. 15. TraPac becomes the second major marine terminal in Oakland to open at night for harbor truckers. Oakland International Container Terminal, the Port’s largest terminal, introduced night gates at the Poroaklat two years ago. 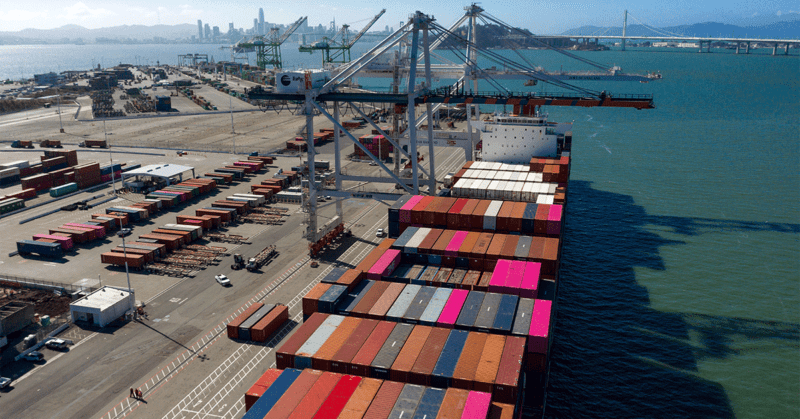 Together the terminals process about 80 percent of all containerized cargo in Oakland. An end to marine terminal congestion. The terminal said it will assess a $30 fee on all loaded containers moving in or out of TraPac beginning October 29. The fee will cover night gate costs, principally for additional labor, the terminal explained. TraPac is in the midst of a two-year project to double the size of its Oakland operations. The terminal expects to conclude construction by year-end.